Home Agenda 21 How Does UN Agenda 21 Become Embedded in City/Town Policies? How Does UN Agenda 21 Become Embedded in City/Town Policies? The YouTube below was pro­duced to com­bat the City of Tucson’s Propo­si­tion 402 (on the Novem­ber, 2013 bal­lot) — a pro­posed gen­er­al plan revi­sion pro­mot­ed as “Plan Tuc­son” (aka “City of Tuc­son Gen­er­al & Sus­tain­abil­i­ty Plan 2013”). 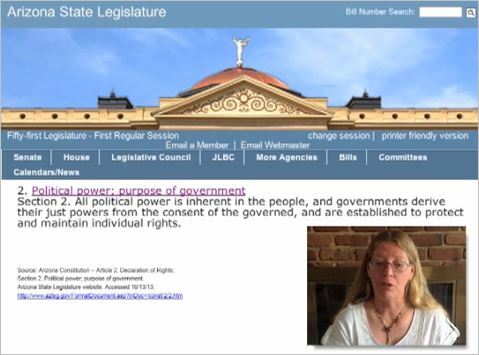 This ~5 minute video is use­ful as it out­lines one woman’s research and effort to edu­cate her fel­low Tuc­so­ni­ans; unfor­tu­nate­ly, the mea­sure passed. Look no fur­ther than the city/town “plan” — called a gen­er­al plan, or com­pre­hen­sive plan, or mas­ter plan, etc. That is why it is impor­tant to stop revi­sions to city/town plans that will (fur­ther) entrench UN Agen­da 21 Sus­tain­able Devel­op­ment plans into city/town pol­i­cy.